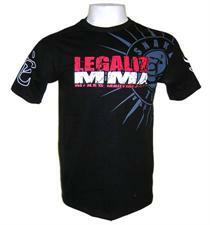 High quality, soft cotton t-shirt with front and back graphics that support the legalization of MMA. Made in Brazil from fine quality fabrics. Email your friend about the Venum "Snake Team" Black T-Shirt. Ask a question about the Venum "Snake Team" Black T-Shirt.